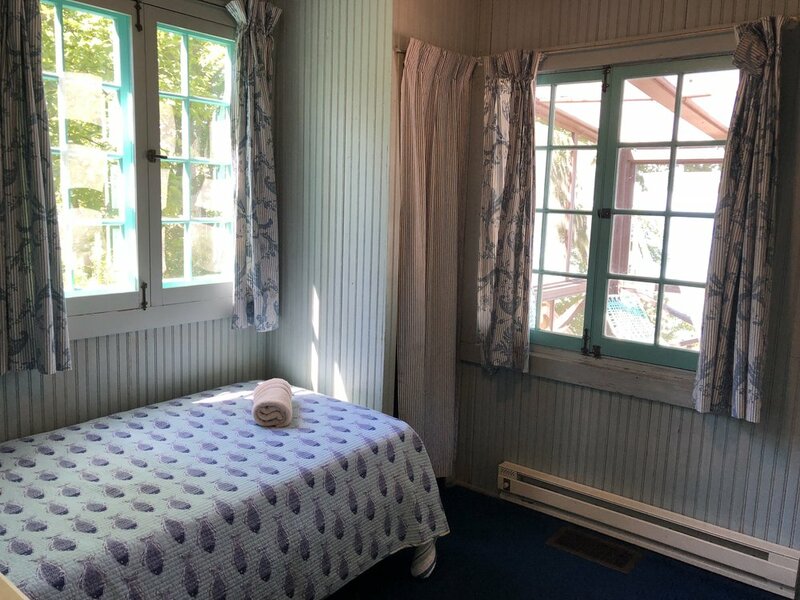 This quaint cozy cottage in Meadow Lane in Lakeside, Michigan features 5 bedrooms, 3 bathrooms, and an amazing view from the screened porch. 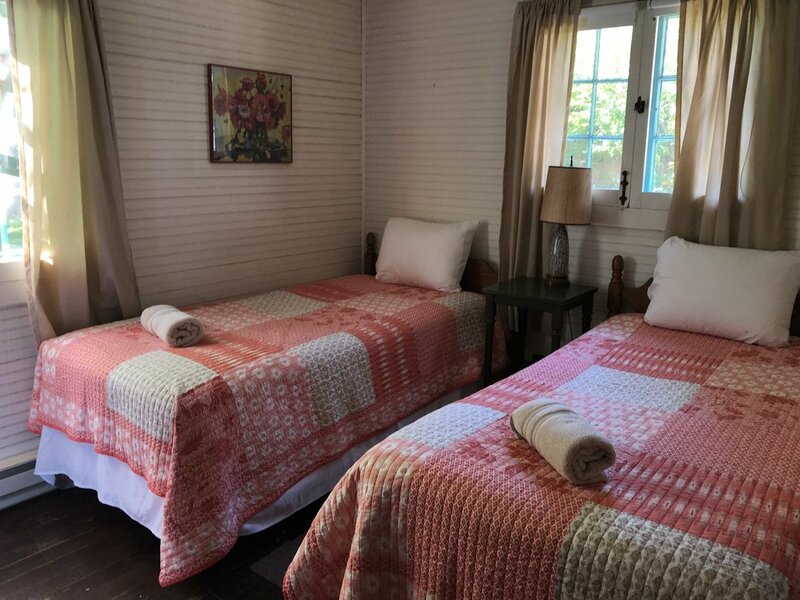 There are 4 bedrooms in the main house and the 5th bedroom is in the guest house. 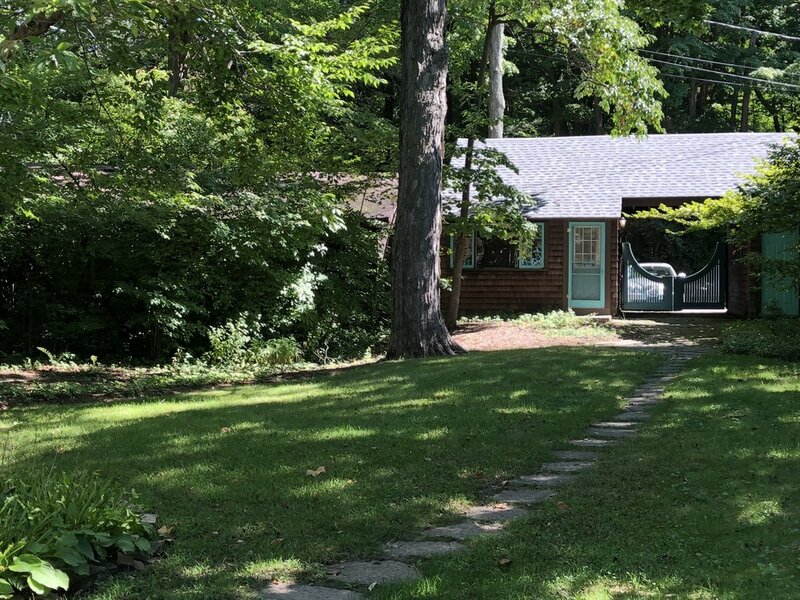 This 1920 cottage was built by a Great Lakes ship captain. It has been in the same family 80 years. The cottage sits on a bluff hanging over the beach, a mere 25 steps below. 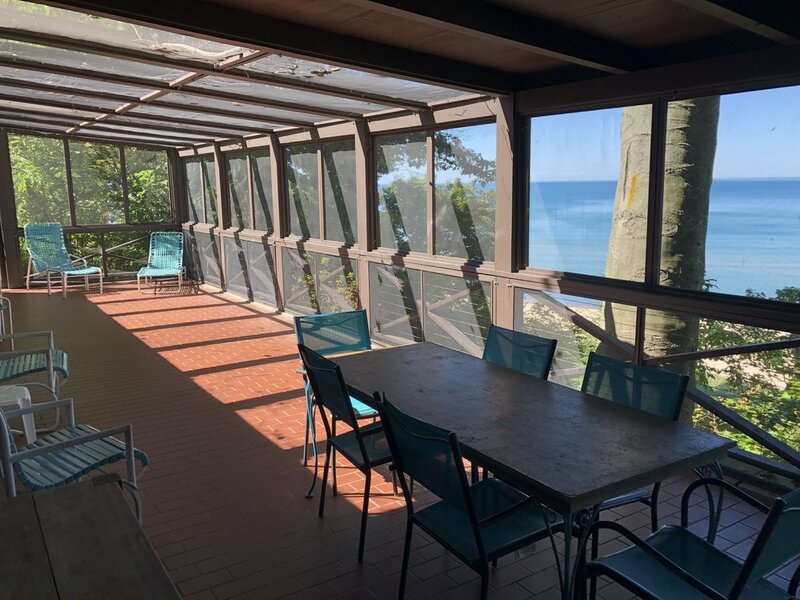 Watch sunsets (and the kids) from a screened porch perched above the beach. 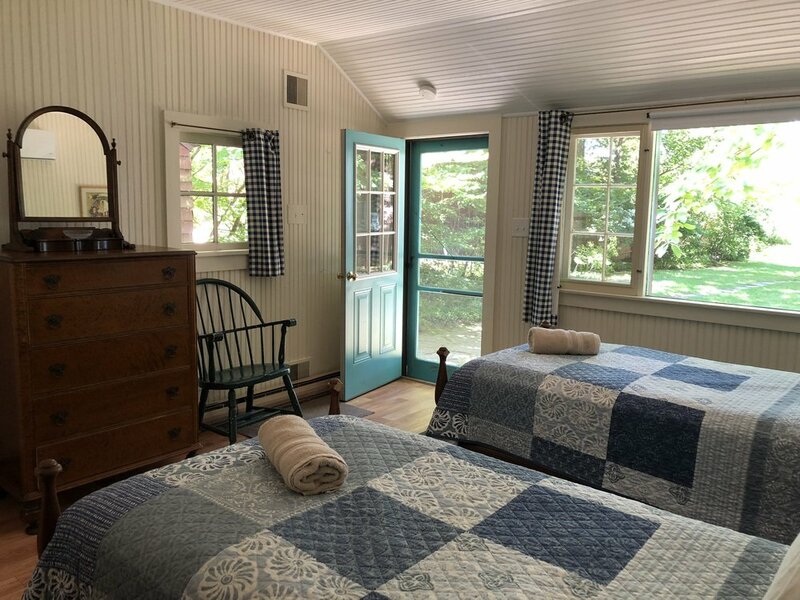 A few weeks in this cottage allows you to step back to a slower, simpler time. The beach offers the finest, whitest sand in the world and provides miles of beautiful barefoot walking. 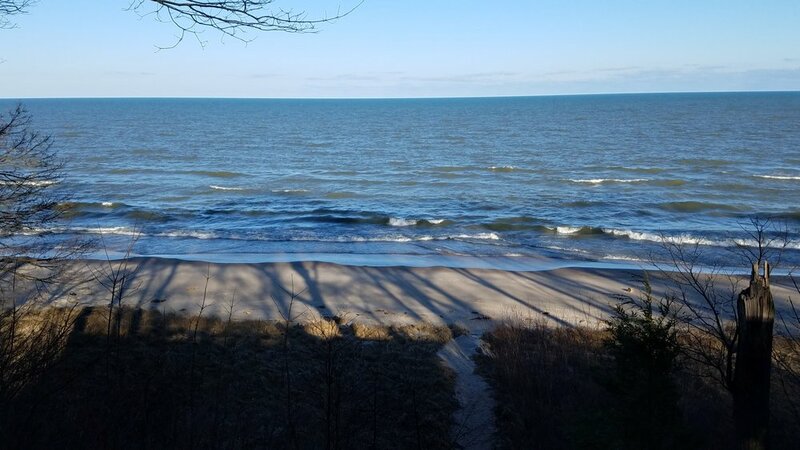 This is the warm, clean side of Lake Michigan. Lolling and floating in the lake in the heat of summer is an unbeatable experience. 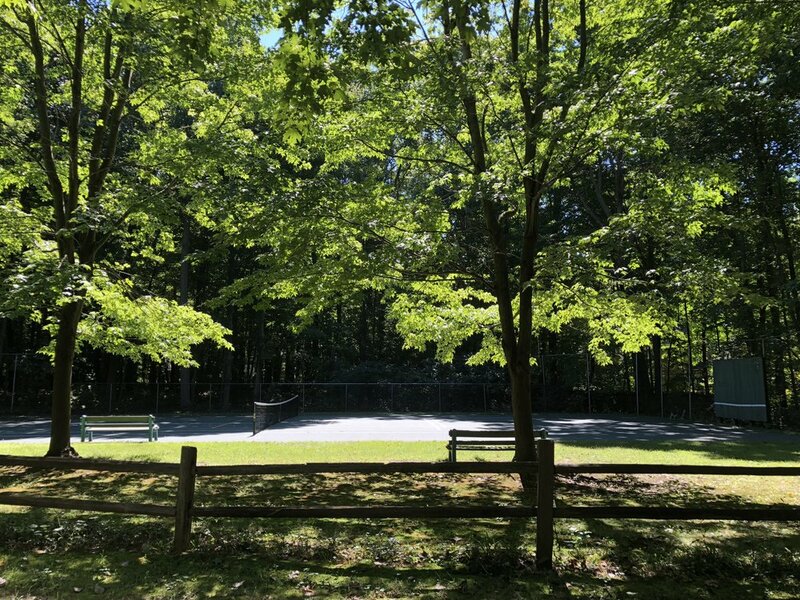 30 yards down the private lane is a tennis court shared by you and a few neighbors on a friendly first-come, first-served basis. 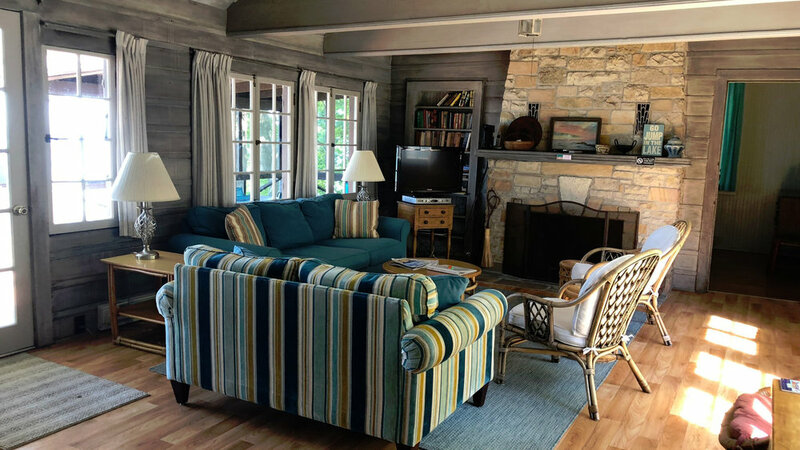 “We needed a get away for our family ranging in ages from 22 months to 64 years old. The 8 of us each had privacy when we wanted and family time when preferred. 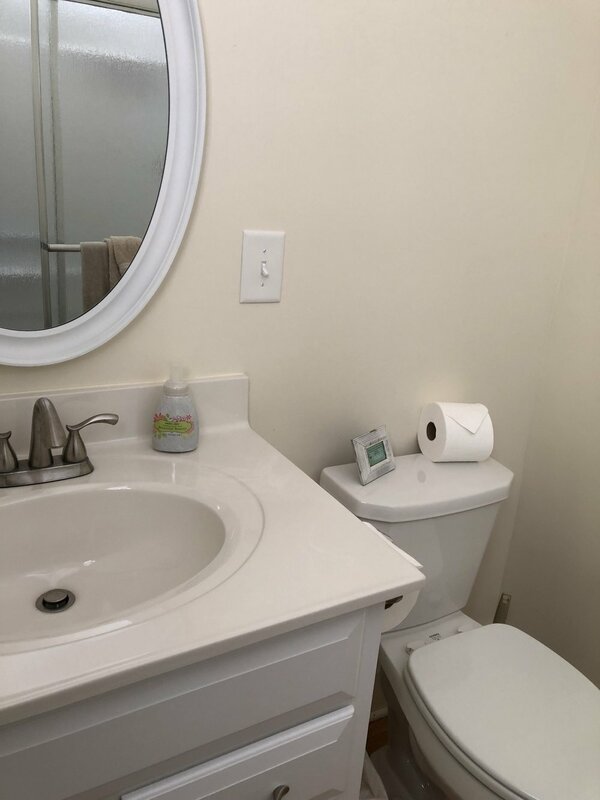 Plumb cottage was spotless when we arrived and had everything we needed. Our family loves to cook and the kitchen was well equipped for cooking family dinners. We will go back to Plumb Cottage and next time, we'll pack less; as it's all there. 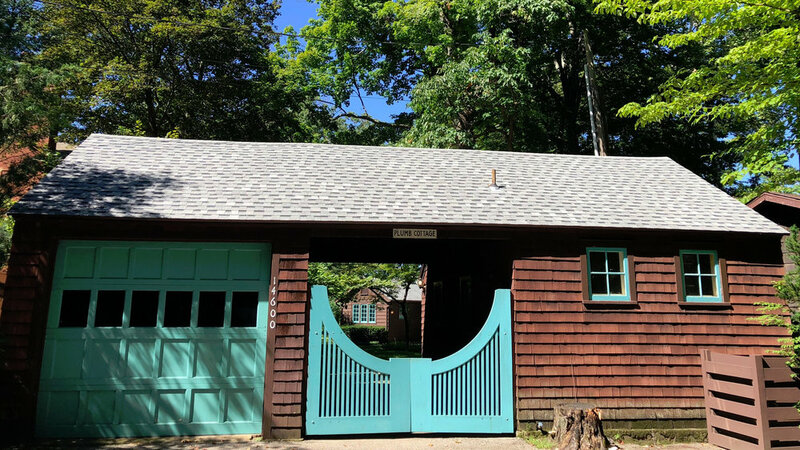 We stayed at Plumb Cottage last August and couldn't wait to return again this summer. As we unloaded the car, we commented that it "feels like home." 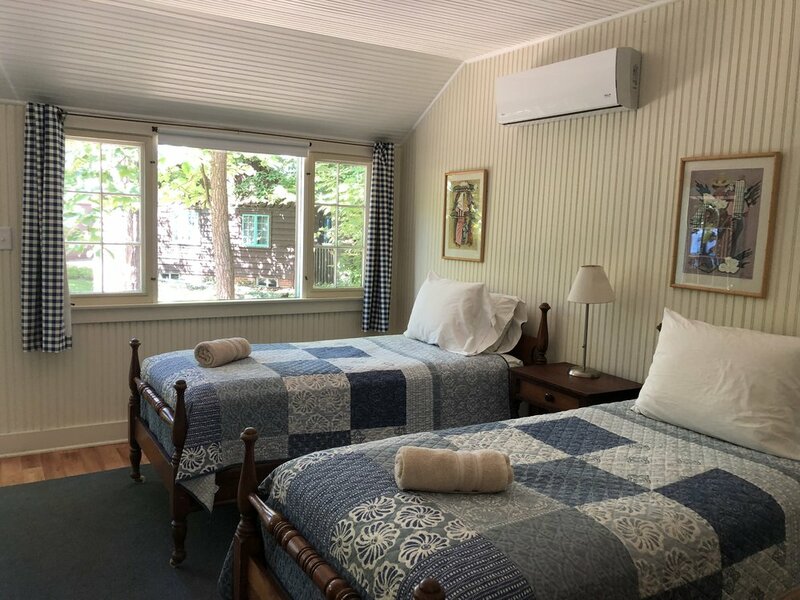 Plumb Cottage has the personality of an old friend -- comfortable, casual, friendly, and nurturing. 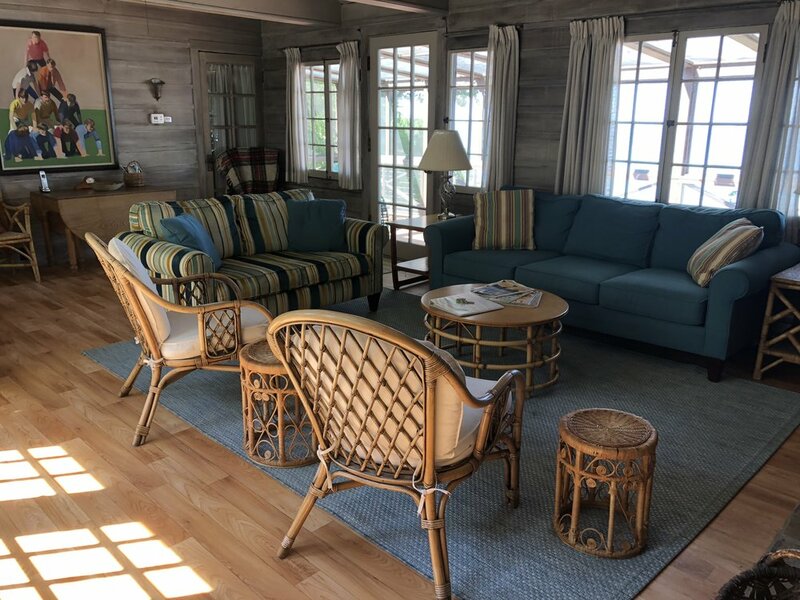 It's the perfect place for family gatherings with enough room to spread out for sleeping, but great spaces for togetherness - especially the screened porch. 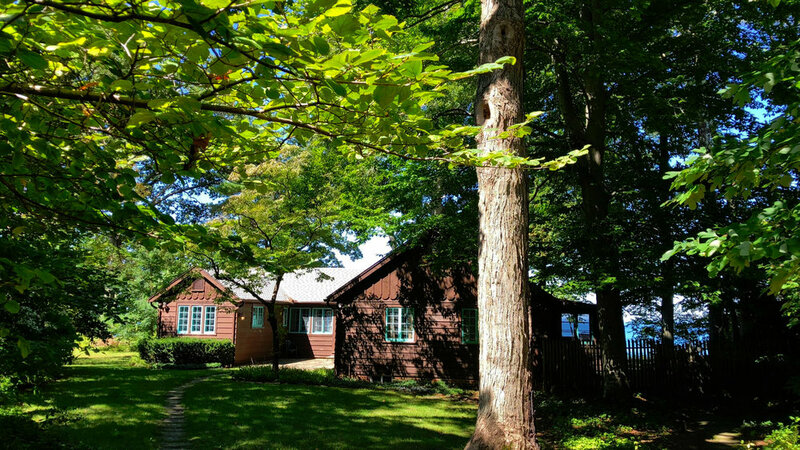 We had the good fortune of sharing the cottage with four generations of family members. The private beach is truly terrific; you can't beat the fun in the sun and sand. And, the sunsets...ahhh...each night is a different and amazingly beautiful show of nature, easily watched from the porch. The neighborhood is safe and lovely - perfect for walks or bike rides. The unique shops and great restaurants of New Buffalo, Harbert and Sawyer are very easily accessible. The grand kids' favorite, of course, was Oinks! If you have any questions or issues, Tonya is just a phone call away with immediate assistance. 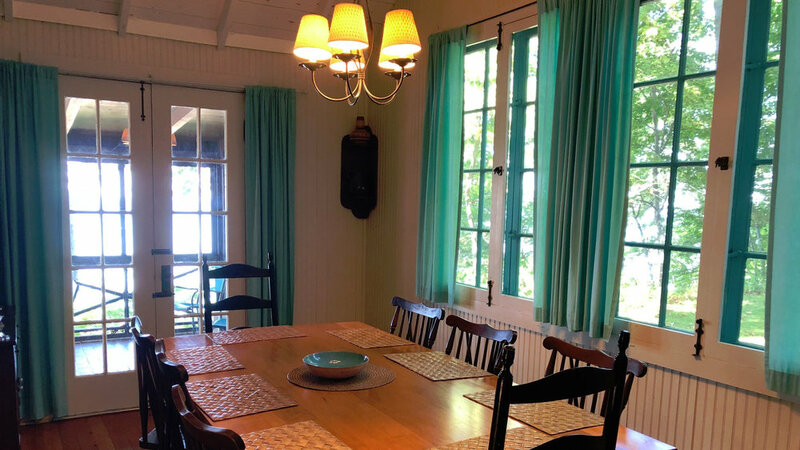 Plumb Cottage at Lakeside is a "slice of heaven" not to be missed. 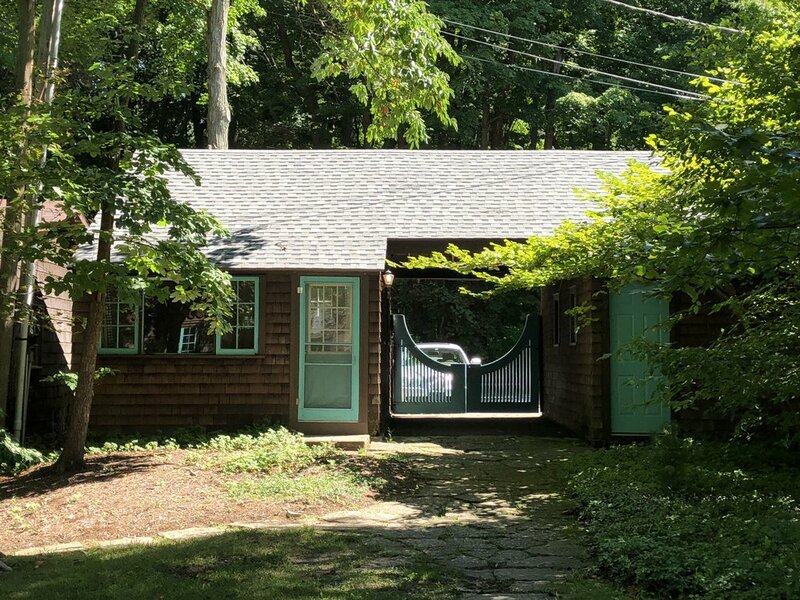 We have been coming to this area of Michigan for more than 30 years and this is by far our best rental yet. 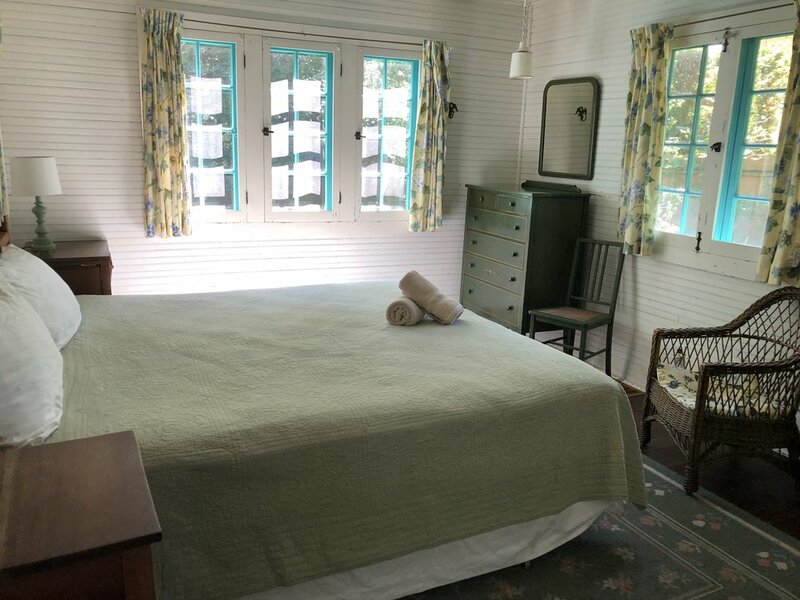 We stayed at Plumb Cottage in early September and words just do not do the cottage justice. We had 8 adult family members (couples) and there was plenty of room. 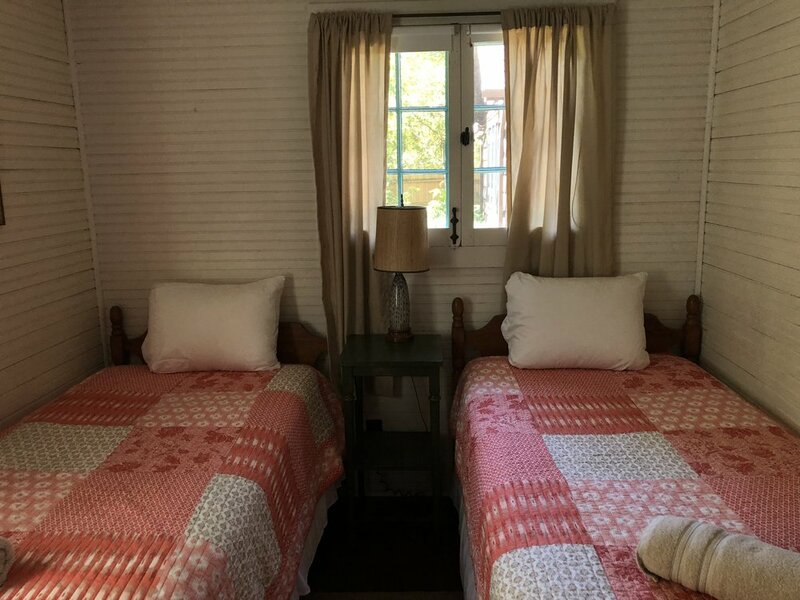 The cottage is equipped with everything you will need to have a lovely and relaxing stay. 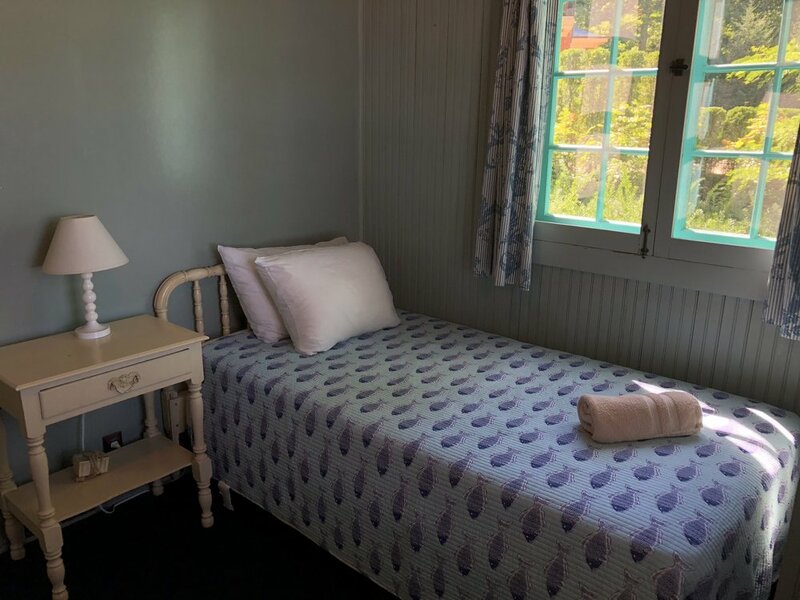 The bedrooms are spacious and clean with all the necessary linens and the beds are comfortable! 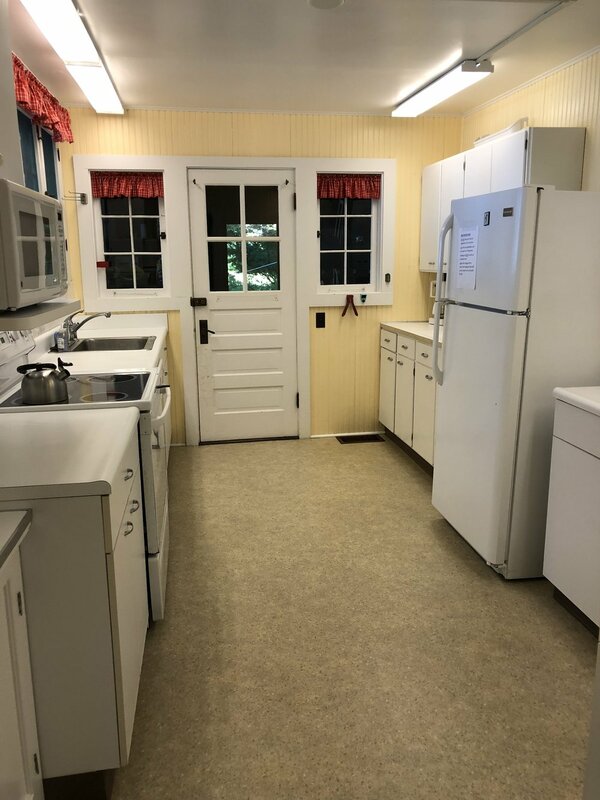 The kitchen has all the necessary utensils to cook any meal so there was no need to bring anything. 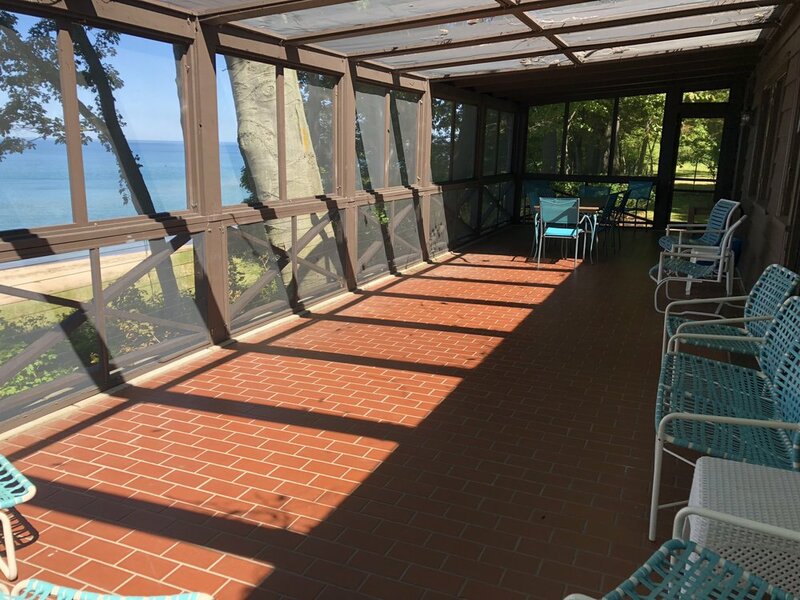 The screened-in porch made having breakfast overlooking the lake absolutely gorgeous. We used the fireplace just about every night, and what a cozy atmosphere this was. 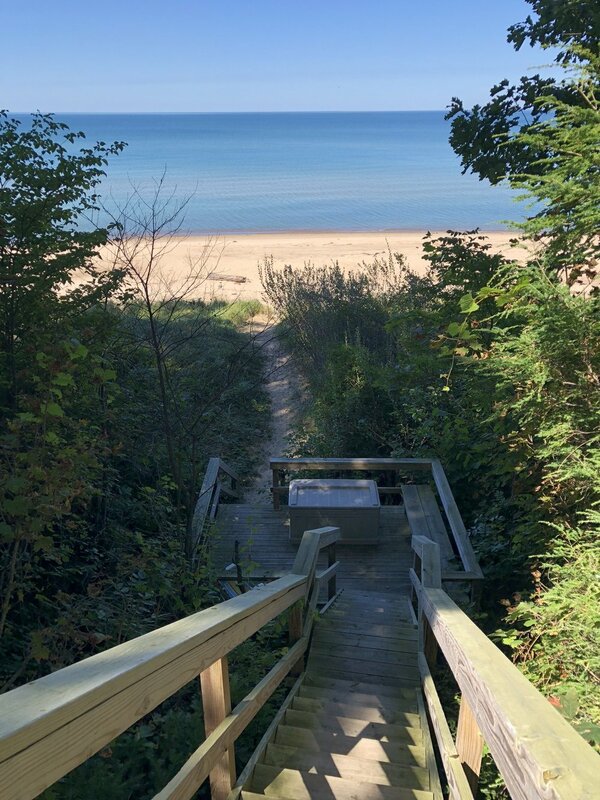 The beach is a short walk down the stairs and it seemed as if we owned it. Some days we went for long long walks along the shore and on others we just set our chairs in the sand and read. We made beach fires at night and just relaxed gazing at the stars. A short 6 minute ride puts you in New Buffalo or any number of great restaurants and shops along the way. 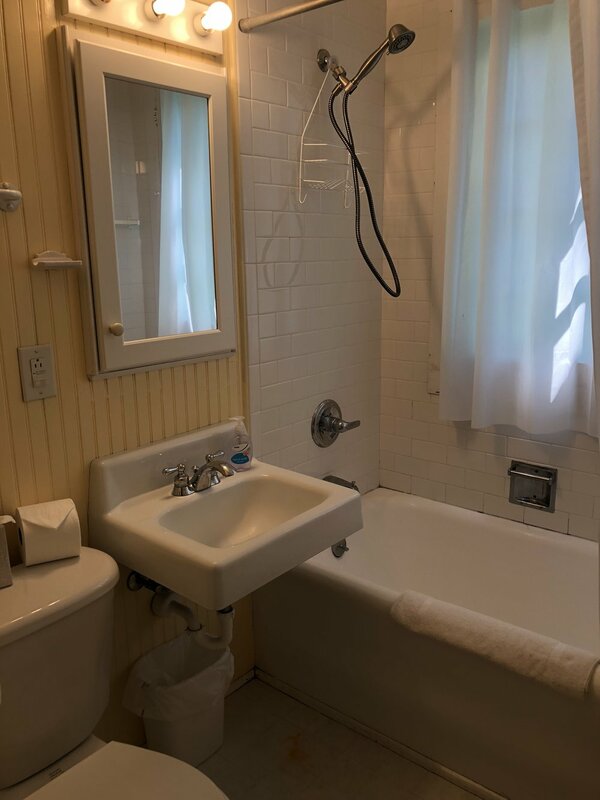 Communication with the owners Tim & Cathy was easy and comfortable and manager Tonya was very helpful in making sure our stay was enjoyable. 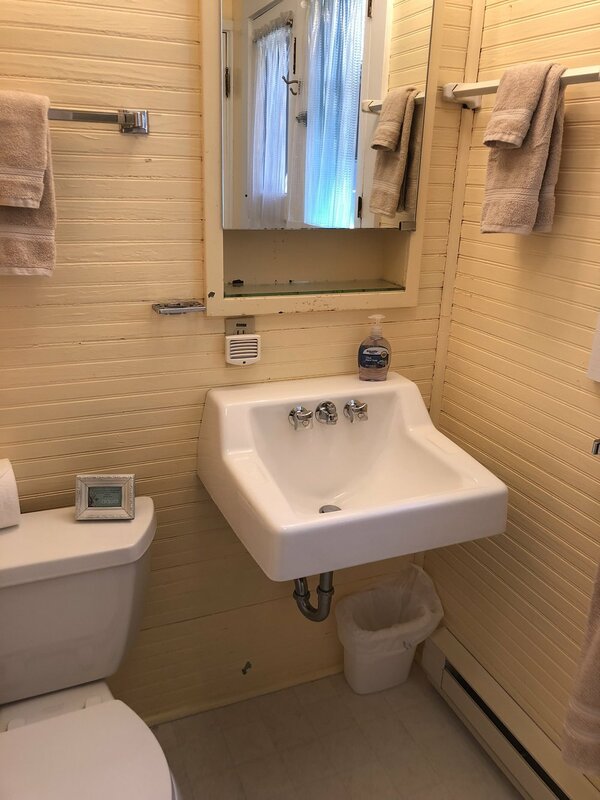 We will certainly be back to Plumb Cottage! 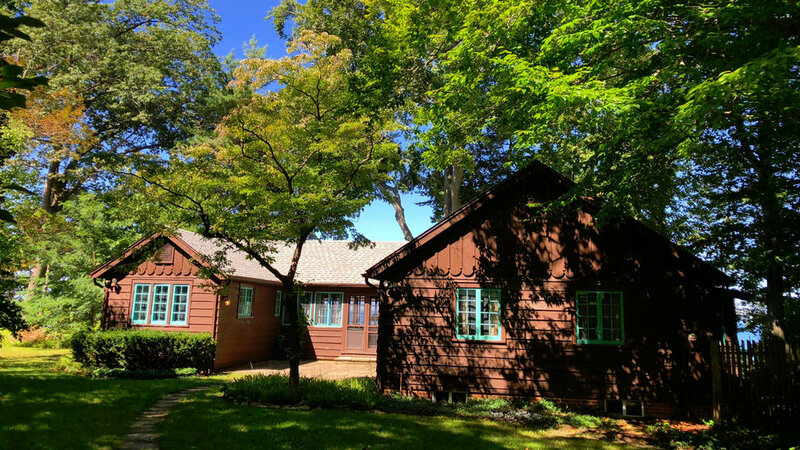 this cottage was the perfect setting for our family"s visit to the midwest . We were looking for a relaxed beach vacation with our 3 year old and could not have scripted a better set-up . The beach was huge and only a quick walk down 25 steps . 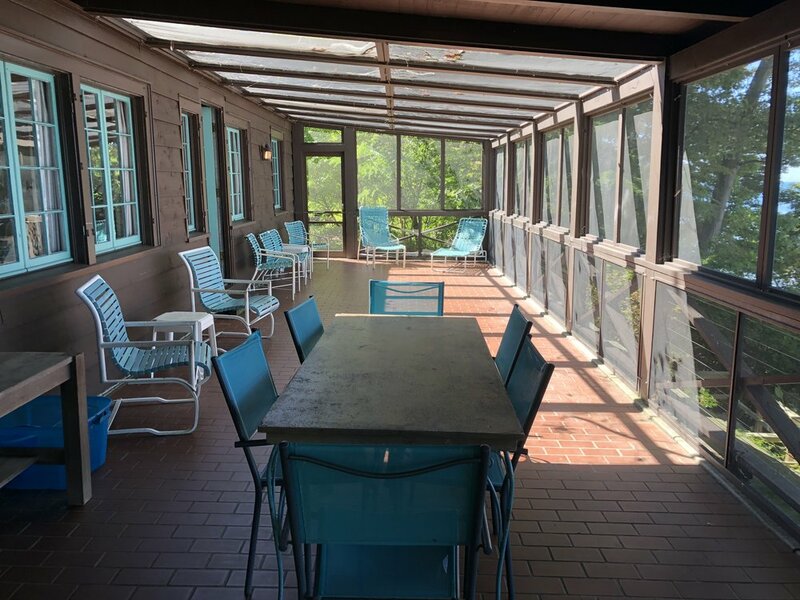 The lake water was clean and the water temperature was usually in the 70 s. The screen porch is world-class for taking in the breezes and the sunsets without worrying about the bugs . 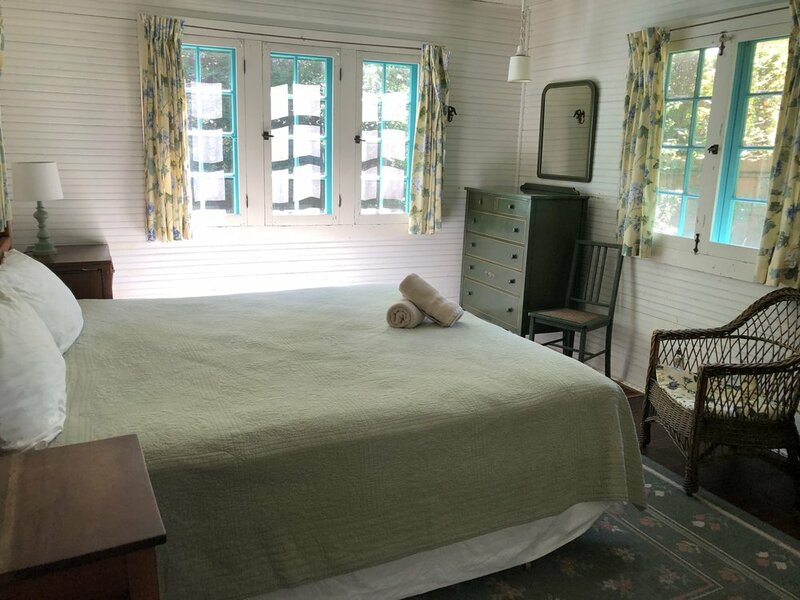 The interior of the cottage is charming and it took little time to make ourselves at home . I would HIGHLY recommend spending a vacation at this great location . Beach easily watched from the porch..! The sunsets...ahhh...each night is a different and amazingly beautiful show of nature.